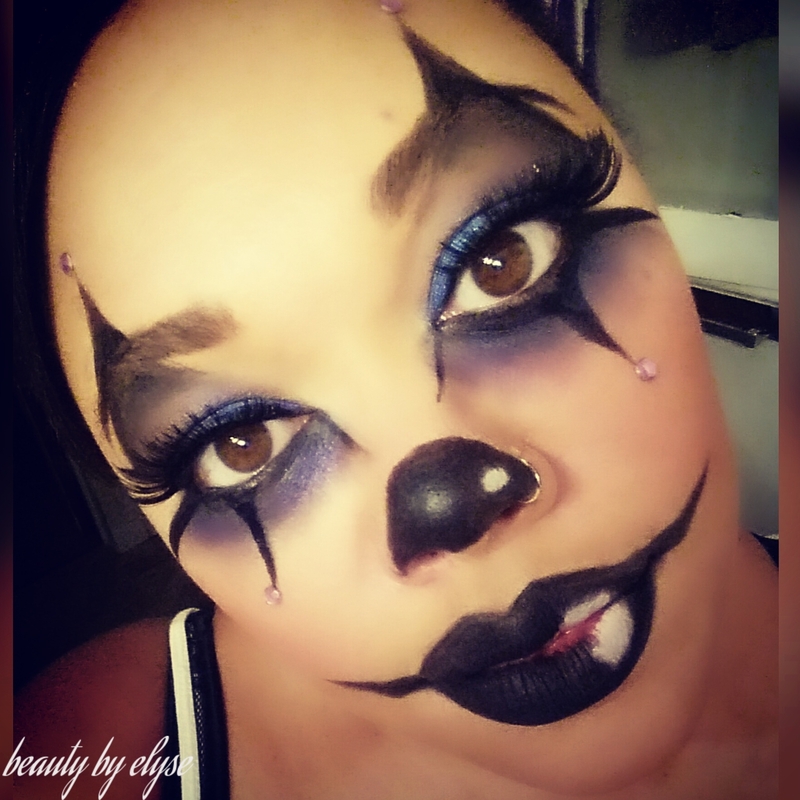 So I did another Halloween makeup look that I think you will like. 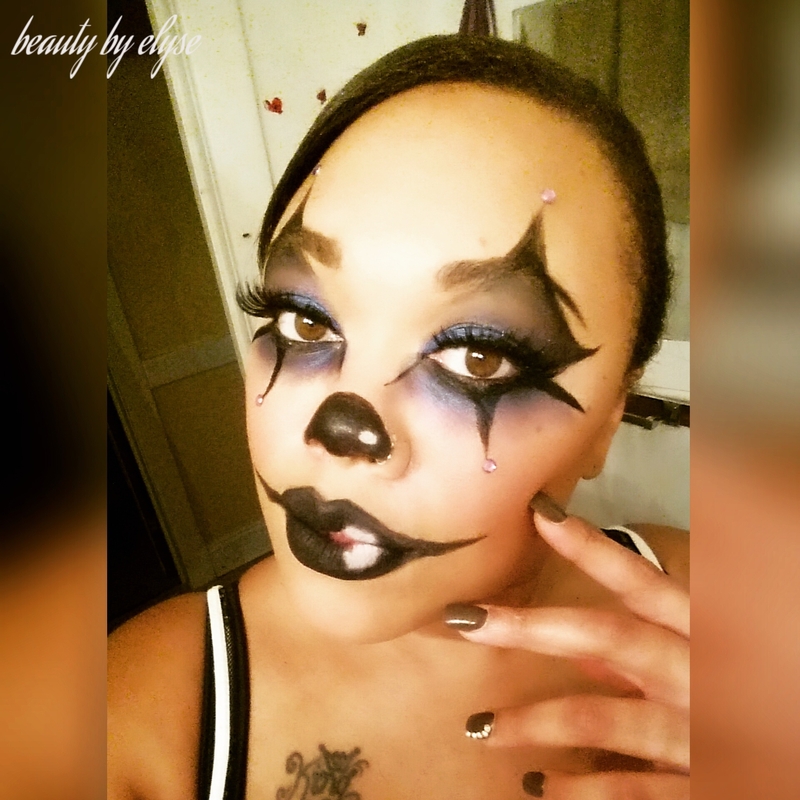 I was inspired by Tina K Promua who did this look on her YouTube channel and posted pictures on her instagram account. She used the Anastasia Beverly Hills Artist Palette and the Morphe 35 N Palette. I took the idea and put my own little spin on it. I used 88 Color Shimmer Palette the deep blue, and purple shadows (sorry no color names were listed on the palette). To do the outline of my eyes and points I used Wet-N-Wild H20 liquid liner. **Disclaimer** That eyeliner is the truth lol, so if you are going to use it, use it with caution. When they said waterproof, that’s exactly what they meant! It does not come off easily. I would not recommend it for everyday use but it’s perfect for a night out and for situations like this. To highlight my nose and lips I used Wet-N-Wild white eyeliner pencil. Lashes – I got from Shop Miss A No.5 lashes. Foundation – I used Maybelline Fit Me foundation in Golden beige.